In a bowl or jug, whisk together the flour, milk and egg until you have a smooth batter. Let it stand for 20 minutes. Place a non-stick pan over a medium heat, add a little oil and swirl around. When hot, pour a ladleful of batter into the pan. Cook for 1 minute, then flip it over and cook the other side for 1 minute. Remove from the pan and place onto a plate. Repeat with remaining mixture. 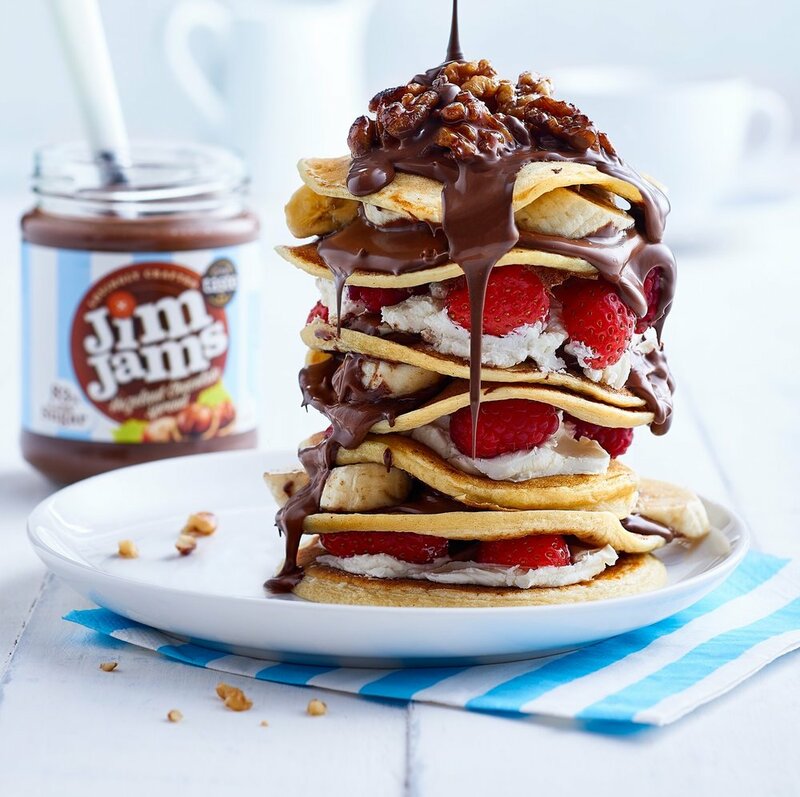 For the filling/topping: warm 4 tbsp of JimJams 83% Less Sugar Hazelnut or Milk Chocolate Spread in a microwave for 30 seconds and drizzle over the pancake. Alternatively, spread straight from jar onto pancake. Add some chopped banana or fruit of your choice – yum!